Flight Overbooked? Perfect: These Frequent Flyers Want To Get Bumped A select group of travelers spends considerable effort trying to get bumped from overbooked flights. The payoff: vouchers that can range from hundreds to thousands of dollars. 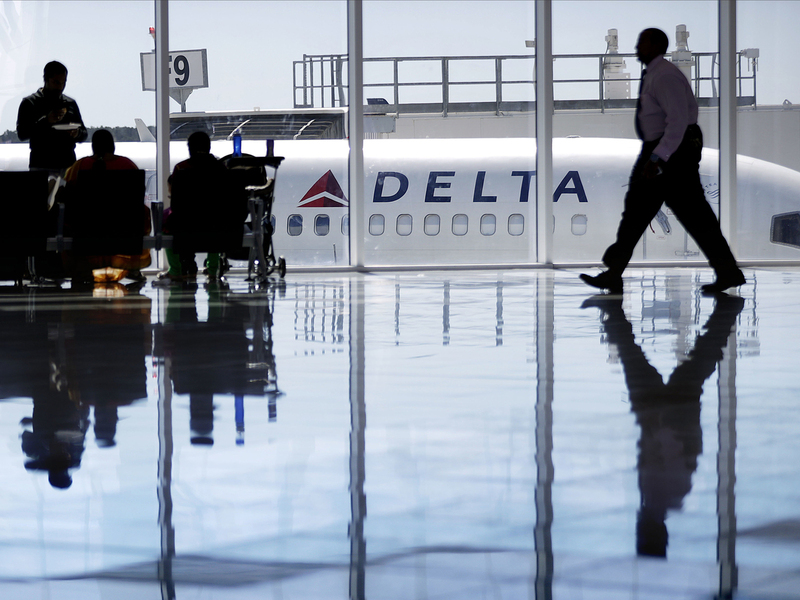 Delta recently authorized supervisors to offer up to $9,950 in compensation to passengers bumped from flights. A Delta Air Lines jet sits at a gate at Hartsfield-Jackson Atlanta International Airport. United Airlines is increasing the amount it will pay passengers who get bumped from overbooked flights to as much as $10,000. That announcement comes after its CEO, Oscar Munoz, called a now-infamous video showing police violently dragging a seated passenger off a full flight earlier this month "horrifying." "When we read that story, our reaction was, 'Dang, I wish we'd been on that flight,' " says Fay Fishman, a veteran traveler with a love of getting bumped off overbooked flights. 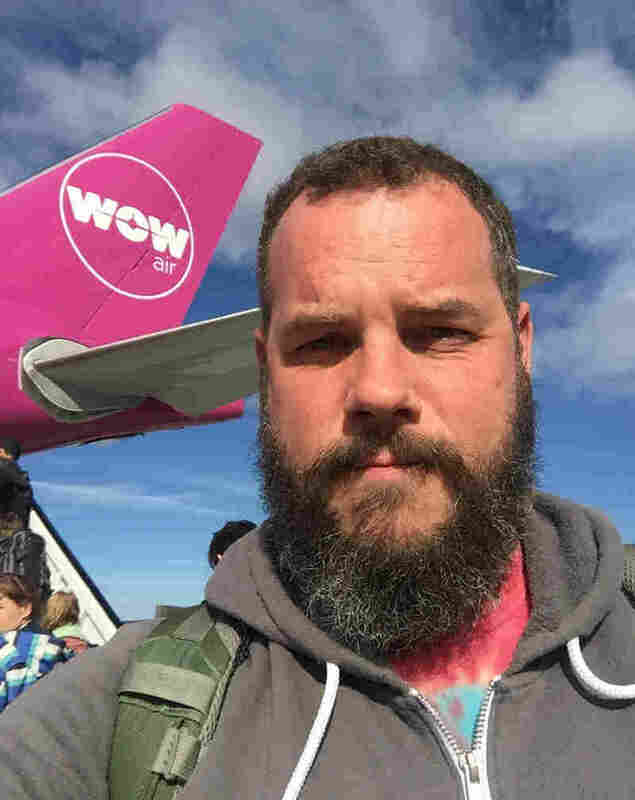 Fishman is among a select group of travelers who spend considerable effort trying to get bumped from overbooked flights; they are, in fact, overjoyed to give up their seats in exchange for travel vouchers or cash the airlines give out as compensation. Fishman is what I would call a serious player of The Bump Game. She and her husband are law partners who split their life and work between Phoenix and Minneapolis, flying at least once a week, not including leisure travel. "We seem to live on airplanes and we love it," Fishman says. They even love hanging out for hours, getting work done at the airport lounge or having a drink at a restaurant. But gunning for bumps is also a serious effort. Fishman sets their schedule six months to a year in advance, aiming to travel at the busiest times. "On a Monday school holiday, a Thursday or Friday before that is a great bump possibility," she says. "You know, it also helps when you don't have young kids [her husband has two grown children], you don't have pets and you don't have green plants, so you have nothing that needs your care and attention." Fishman says they arrive at the airport at least an hour before their flights, and aim to be the first to speak to the gate agents — some of whom already know her — to enthusiastically volunteer. She even keeps Starbucks gift cards to give to the gate agents as "thank you" gifts if they do get bumped. 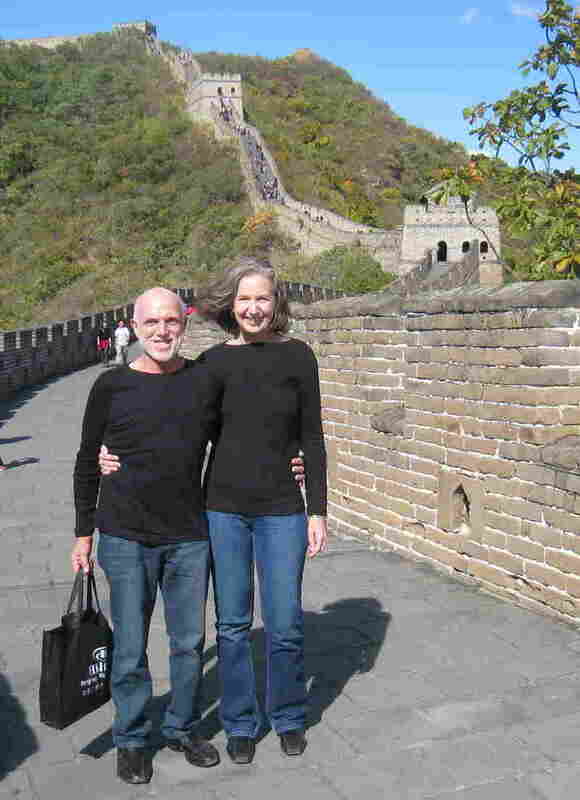 Fishman says she and her husband once scored $3,200 on a single trip. Using these rewards, the couple has traveled to the Middle East, Asia and all around Europe. The winnings can depend on the timing of the alternate flight, or the airline's own policy. Regulations allow up to $1,350 for bumping a passenger from a domestic flight; Delta recently authorized supervisors to offer up to $9,950, and now United has followed suit. Brian Karimzad, who sometimes plays the game himself, says knock-on airline backups from bad weather can add up to big money. "You get bumped off one flight, and then that flight ends up getting overbooked and you get on another one that's overbooked, and you could end up with thousands of dollars in compensation," he says. Karimzad is director of MileCards.com, a travel rewards site that recently ranked Delta as the carrier likeliest to pay to bump passengers. Other pro tips? Airlines prefer volunteers without checked baggage. Also, smaller regional planes are 50 percent likelier to bump. The game favors students or people who can work remotely — not those scheduled for big meetings, weddings or funerals. "The most important thing is you have to have a lot of time," says Brian Sumers, airline reporter for travel website Skift. And, he says, if you play, know you're up against some seasoned competition. "There's a small but vocal minority that tries to come up with ways to beat airlines at their own game," Sumers says. Anthropology professor Montana Miller commutes weekly to Bowling Green State University in Ohio from her home in Long Island, N.Y. Her annual airline bill tops $20,000, so she loves vouchers. "Free money!" she says. "It's like a jackpot; it's like winning the lottery a little bit. ... It's unexpected money that just helps me out with my financial stress." To her, waiting another several hours at the gate is bliss: "I'm an anthropologist, so I really enjoy the airport environment; I enjoy the human drama that takes place there." The downside, she says, is the fact that she wins a voucher about 5 percent of the time. "Most of the time I get my heart broken." In fact, airlines bump passengers about 40 percent less frequently than they did about two decades ago, according to the Bureau of Transportation Statistics. Because her odds are low, Miller says she has never asked for more than the typical $400 voucher. That, too, is part of her strategy. "The problem with saying, 'I'm going to hold out,' is that there's going to be someone else who's happy to take less money." Todd Gladfelter, a San Francisco meteorologist, on a trip to Iceland last year. He says it pays to do research before talking to the gate agent. Then there are Bump Game champions like Todd Gladfelter, a San Francisco meteorologist. 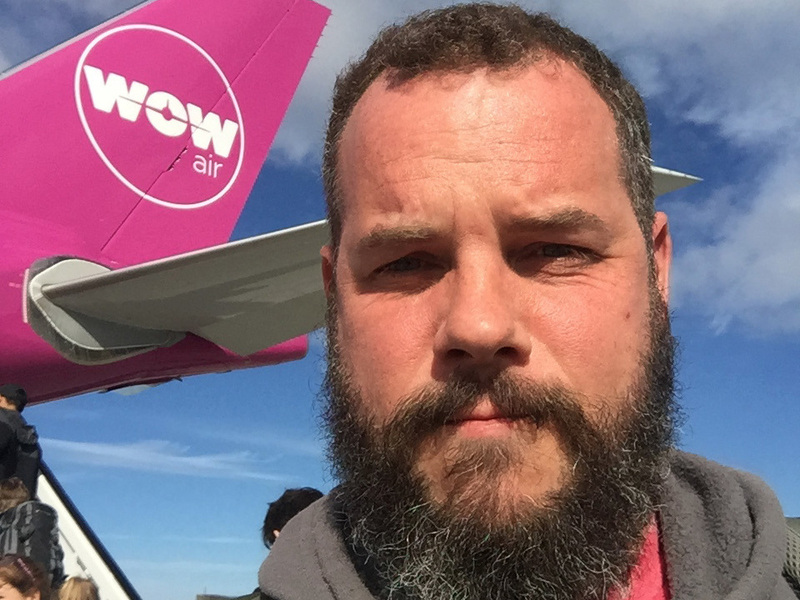 "From around the year 2000 to about 2006, I didn't pay for a single airline ticket out of pocket," he says. That's an achievement, when you consider he travels, on average, every week. He says it pays to do research before talking to the gate agent. "When you come up and say, 'Hey, here's an alternative flight that I have,' they'll be very appreciative of that, and might even choose you over another passenger because you came up prepared," he explains. Breaking the news that he's won a voucher, once again, to his waiting parents can be another matter. "Oh, I'm going to be on a later flight," Gladfelter tells them. Initially, they were disappointed, but now they're used to it, and they know he'll use the funds to come visit again.